CAP is an acronym for Commercial And Personal. Interestingly, it is also the initials for Craig A Parker. At CAP Finance Solutions, we do not just provide loans and advice on interest rates and fees, we provide solutions. We source both commercial and personal finance and provide solutions that are commercial, and personal to your requirements. Craig Parker is a finance broker who knows business and home loan finance. 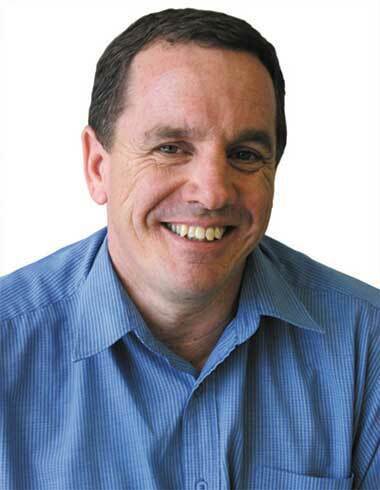 Craig has more than 20 years Business Banking and Home Lending experience working as an employee of ANZ, Esanda, Barclays, Suncorp-Metway and Westpac. He is also a CPA having worked in public practice as an accountant. Craig knows how banks “think”. He knows what they are looking for in a finance proposal. He can present a finance application to the most appropriate financier to ensure the greatest chance of approval, on terms that are the most favourable to the borrower. Craig is accredited with the major banks as well as many of the smaller financiers. He will look at your proposal and take into account acquisition costs, capital requirements etc, and provide an indication of the maximum amount that a bank will lend for the type of business, investment or home that you are looking to purchase. He will also provide an indication of the terms, fees and repayments. Craig acts as the middle man between the banks and the customer. He has the time, qualifications and experience to structure the correct finance package tailored to the unique circumstances of each individual or business. What is even better is that the banks pay him directly and there is no additional cost to the customer for using his services.